Evaporative coolers work by the process of water turning from liquid to gaseous water vapor. These units use less electricity because they only run a fan to circulate air over water. The passing air uses the heat energy from the water to turn the water from a liquid state to a gas state, thereby cooling the air considerably. Because evaporative coolers use the process of evaporation, the efficiency of these units depends on the humidity (amount of water vapor) present in the air. The more water vapor present in the air (high humidity), the less water the air can “accept.” Thus, these type coolers are typically seen in drier environments. You might also see them used for fresh-air ventilation so that the air is tempered somewhat.  At BIMS, our team of highly trained service technicians is available 24/7 to ensure your evaporative cooler is repaired quickly and correctly. We pride ourselves on giving quality service that is focused on ensuring longevity of the whole system, optimizing efficiency, and centering on the source of the problems versus only alleviating symptoms. Much like a doctor, we want to treat what’s causing the fever rather than only treat the fever. We also understand how precious keeping a business in operation is. Thus, if something goes wrong, we will work with you to get the problem resolved so that “down-time” is kept to a minimum. If, worst case scenario, the evaporative cooler needs replacing, our team will work diligently to ensure the process is as flawless and as quick as possible. For any issue, BIMS has access to a vast network of distributors for parts and equipment (including those hard to find). Call us today at (214) 467-2653 if you have any questions about and/or are having issues with your evaporative/swamp coolers.